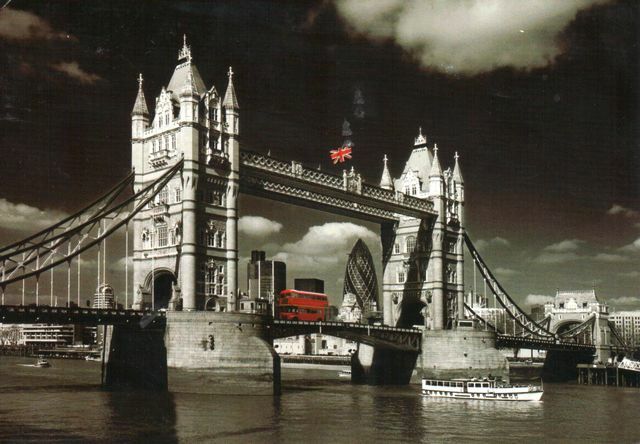 Tower Bridge (built 1886–1894) is a combined bascule and suspension bridge in London. The bridge crosses the River Thames close to the Tower of London and has become an iconic symbol of London. Tower Bridge is one of five London bridges now owned and maintained by the Bridge House Estates, a charitable trust overseen by the City of London Corporation. It is the only one of the Trust's bridges not to connect the City of London directly to the Southwark bank, the northern landfall being in Tower Hamlets.